Synthetic marijuana can be strong and cause aggression without warning, creating a constant threat to the safety of everyone in the facility. 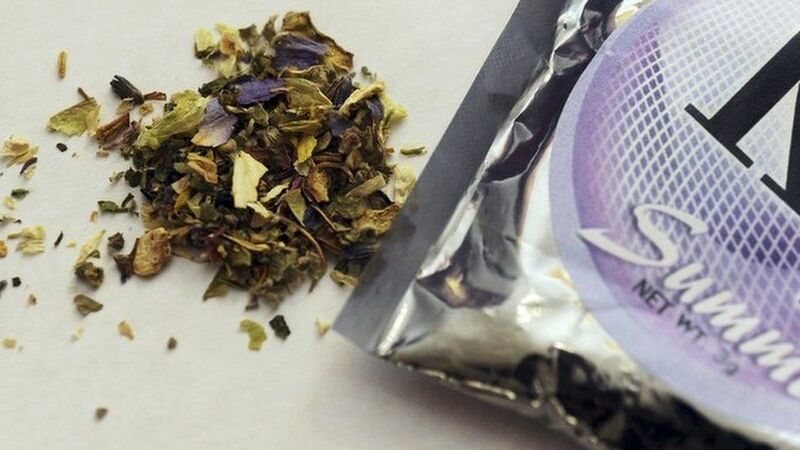 Prisons throughout Britain are feeling the devastating effects of synthetic cannabis products, like K2 and Spice. Inmates are able to discreetly use the product, which is being smuggled in large quantities, making it difficult for staff members to catch and reprimand rule-breakers. The effects of synthetic marijuana can be strong, and cause aggression without warning, creating a constant threat to the safety of everyone in the facility. Inmates are risking what little rights they have left in jail by illegal purchasing synthetic cannabis from fellow prisoners. After ingesting the odorless material, rage, depression and often temporary forms of psychosis can be experienced. With so many issues surrounding the use of this manufactured substances, officials are hoping some action is taken to help stop its flow into prisons. Synthetic cannabis, often referred to as “spice”, is a completely man-made, chemical compound meant to mirror the effects of THC on the brain. Many different formulas are used to create this Frankenstein-drug, causing the effects and potency to range greatly, making it impossible to known exactly what high will be delivered. The potency of any synthetic cannabis product is always much higher than any natural herb, causing users to inadvertently overdose, and suffer what can sometimes be fatal consequences. Between 2012 and 2014, at least 19 deaths in British prisons were attributed to the use of synthetic cannabis. The product is known for invoking periods of depression and anxiety and has lead to attempts at self-harm. Many inmates already struggle with mental health and the effects of synthetic cannabis only heighten these problems. Inmates are also finding themselves in debt to suppliers on the inside, which leads to bullying and turmoil throughout the prison. The black market exists in many jails, just like it does in the regular world, and inmates often trade or promise goods, funds and meals in exchange for their drug of choice. When users fail to pay, the repercussions lead to brawls, beatings, and bruises. Often innocent guards are hurt in these scuffles. Newly appointed Chief Inspector of Prisons, Peter Clarke, is becoming all too familiar with the dangers surrounding synthetic cannabis. Both inmates and guards have approached Clark, complaining of falling ill after breathing in the second-hand fumes, and with concerns about personal safety while others are under the chemical influence. Currently, prisons are working to educate staff members of the signs and symptoms associated with synthetic cannabis use. While many believe the government is not doing enough to control the flow of the substance into jails, Clarke ensures new plans are being made to rectify the situation, including enacting stricter penalties for those who are found to be smuggling contraband into prisons. With so much controversy surrounding synthetic cannabis, and the thousands of deaths it has caused worldwide, maybe it’s time to ban production entirely, and legalize the natural herb. Have you ever suffered negative effects from synthetic cannabis? Let us know on social media or in the comments below.